As a creator of Star Wars’ new canon, you don’t go and add a character like Grand Admiral Thrawn to the canon lightly. It’s a character fans have been craving, but he also comes with a lot of questions. Where has he been during the Empire’s rise? Where does he go when the original trilogy begins? In an interview during Star Wars Celebration Europe, showrunner Dave Filoni promised us he has the answers. But the reasonable thing is not always the best storytelling thing, especially not for a character like Thrawn. 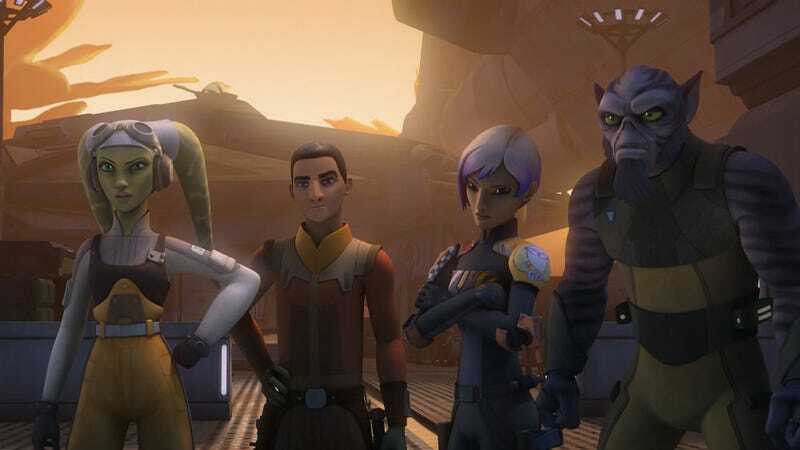 The question of what happens to Thrawn once the events of A New Hope takes place could be equally applied to all of Rebels’ characters, most especially Ezra, a character that seems like he should play a much bigger role in the Star Wars universe than this little sliver on Disney XD. The key to the fates of the characters is looking at the bigger picture. Yes, the Star Wars universe to this point has mainly been centered on Luke Skywalker. But with standalone films, Rebels, and more, Filoni suggested they’re adopting a more J.R.R. Tolkien-like approach. Filoni wants fans to remember that the battle the Rebels are fighting against the Empire doesn’t end with A New Hope. Nor does it end with Return of the Jedi. That means Rebels, hypothetically, could go on for a very long time, parallel with the movies. Star Wars Rebels’ third season begins this fall.